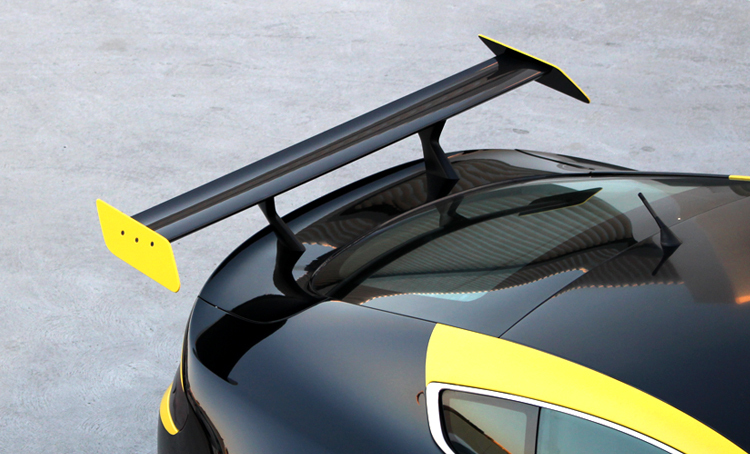 Give your V8 Vantage more of a racing look with our GT racing wing. It enhances the driving dynamics of the car by increasing downforce and reducing drag. The wing bolts through the rear deck, and is available for the original boot/trunk lid cars and the new boot/trunk lid cars with the more pronounced 'flick-up'.